In this interview with Denny Grim, Mike Regan of TranzAct talks about the issues affecting trucking productivity. Listen to this interview to get exclusive insights on what's ahead in the transportation industry. 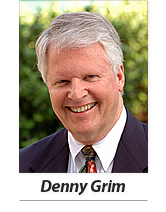 As the Executive Producer of Sound Business and President of Business to Business Communications, Denny has become a great source of knowledge for executives, owners, and thought leaders.